Mouthwashes fall into two basic categories: cosmetic and therapeutic. Cosmetic mouthwashes may temporarily control bad breath and leave behind a pleasant taste, but have no chemical or biological application beyond their temporary benefit. For example, if a product doesn’t kill bacteria associated with bad breath, then its benefit is considered to be solely cosmetic. Therapeutic mouthwashes, by contrast, have active ingredients intended to help control or reduce conditions like bad breath, gingivitis, plaque and tooth decay. Cetylpyridinium chloride may be added to reduce bad breath. Chlorhexidine and essential oils(eg. thymol, eucalyptol and menthol together with methyl salicylate) are used to help control plaque and gingivitis. Fluoride is a proven agent in helping to prevent decay. Peroxide is present in several whitening mouthwashes. Some marketed mouthrinses contain alcohol which helps to dissolve certain oils like eucalyptol, menthol, methyl salicylate and thymol which provide the anti-bacterial effect that reduces cavities and fights gum disease. But alcohol can cause an initial burning sensation, unpleasant taste and bouts of dryness in the mouth A review by the American Dental Association concluded that people at risk for oral cancer — including those who smoke, have a family history of the disease, or have an intolerance for alcohol — should avoid mouthwashes containing alcohol. Also people who are experiencing xerostomia (dry mouth), an otherwise low saliva flow due to certain medicinal side effects, radiation therapies or systemic diseases such as Sjogren’s syndrome or diabetes, can all benefit from using alcohol free mouthwashes. The alcohol free mouthwash is particularly beneficial for people who have a history of alcohol abuse as well. Chlorhexidine-containing mouthwashes are one of the most commonly prescribed oral antiseptics. Mouthwashes containing 0.2 per cent chlorhexidine are normally prescribed to be used in 10–15ml amounts for about 30 seconds, twice daily, for two weeks to one month. Common side effects of this rinse include tooth discoloration, tartar buildup, and altered taste. It has been reported that 0.12 per cent chlorhexidine mouthwashes produce relatively fewer side effects. Some mouthwashes may be intended for managing specific conditions, such as xerostomia. Xerostomia is the reduction in the amount of saliva bathing the oral mucous membranes. Since the lack of saliva increases the risk of caries, a fluoride-containing mouthwash may be helpful to those managing this problem. However, since alcohol can be drying, it may be prudent to recommend an alcohol-free mouthwash. 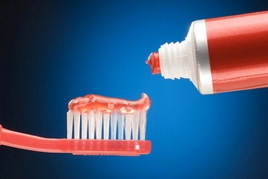 Mouthwashes may also be used to manage dentine hypersensitivity. Finally, tooth-whitening mouthwashes have become popular. Users of tooth-whitening mouthwashes should be aware of the possible side effects, including tooth sensitivity and gum irritation. Mouthwash is not recommended for children younger than 6 years of age. Swallowing reflexes may not be well developed in children this young, and they may swallow large amounts of the mouthwash, which can trigger adverse events like nausea, vomiting, and intoxication. Using a mouthwash does not take the place of optimal brushing and flossing. So remember every day to use your toothbrush and dental floss.